Tank setup: Planted community tank, soft sandy substrate ideal, or smooth rounded gravel. Compatibility: A peaceful community fish. Like other Corydoras species, it is best kept in a group of its own kind. Feeding: Omnivore: Will usually take sinking granular foods, etc, but prefers live and frozen foods. Sexing: Females are slightly larger and more robust in shape. 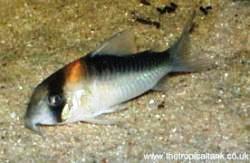 Breeding: This species has been spawned in typical Corydoras fashion, though it does not seem to be bred in captivity that often. 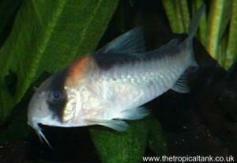 Comments: An attractive species which is not seen for sale that often and may be a little more expensive than more common Corydoras. There are a number of similar species imported occasionally.